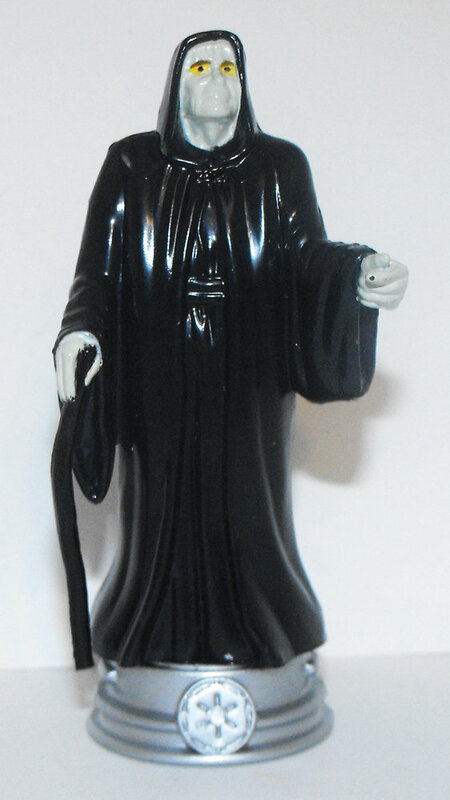 Emperor Palpatine Star Wars Plastic Chess Figurine, 3 1/2 inches tall (9cm). Markings: Lucasfilm Ltd. a la Carte, Germany. Brand new, never used or played with. Comes loose without any packaging or tag.